Media Wales’s head of web, Paul Rowland, told a conference today that regional news titles are “perfectly poised” to embrace BuzzFeed-style shareable content, but also warned that “not optimising your content for sharing is as damaging as not using basic SEO”. 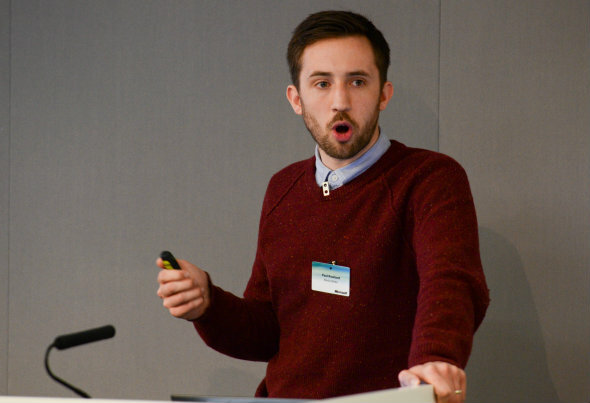 Delivering a presentation on “how WalesOnline learnt to share”, Rowland explained to the news:rewired conference, in London today, how the Welsh media outlet was enjoying great success branching out into creating content specifically made for sharing. Media Wales, he said, discovered the potential for sharing almost overnight – with an article on “14 Welsh place names with no (English) vowels“. Although some people didn’t “get it”, he added, the article went to the top of their analytics rankings for the week and received positive feedback. Symbolising identity is an incredibly powerful tool – we’re close enough to know what makes readers tick. Buoyed by the success of the place names piece, Media Wales “cashed in” with a series of similar list-based pieces of content relating to Wales over the coming weeks, including another successful piece on “21 things you only remember from your childhood if you’re Welsh”. People got it straight away – it didn’t make readers work too hard. We learnt that things that weren’t specifically Welsh didn’t work too well. We learnt that our audience was unforgiving — if we gave them dross they’d be quick to tell us. He said readers appeared to be “psychologically programmed” to share any content with a number in it – but that lists were not the be-all and end-all of shareable content. Some people would say it’s not journalism but who says we have to do journalism all the time anyway. What we have to do is fit what our audience wants. Making content shareable involves splitting material into its component parts and discovering “what elements of stories people are interested in”. One recent example was a gallery of 30 pictures of storms battering Wales – with no accompanying narrative in words. This is the bit of the story that people are interested in. Nothing said that better than in pictures.